Featuring: Yvonnick Prene (chromatic harmonica), Scott Tixier (violin), Michael King (piano), Michael Valeanu (guitar), Lorin Cohen (bass), Eric Wheeler (bass), Jay Sawyer (drums). 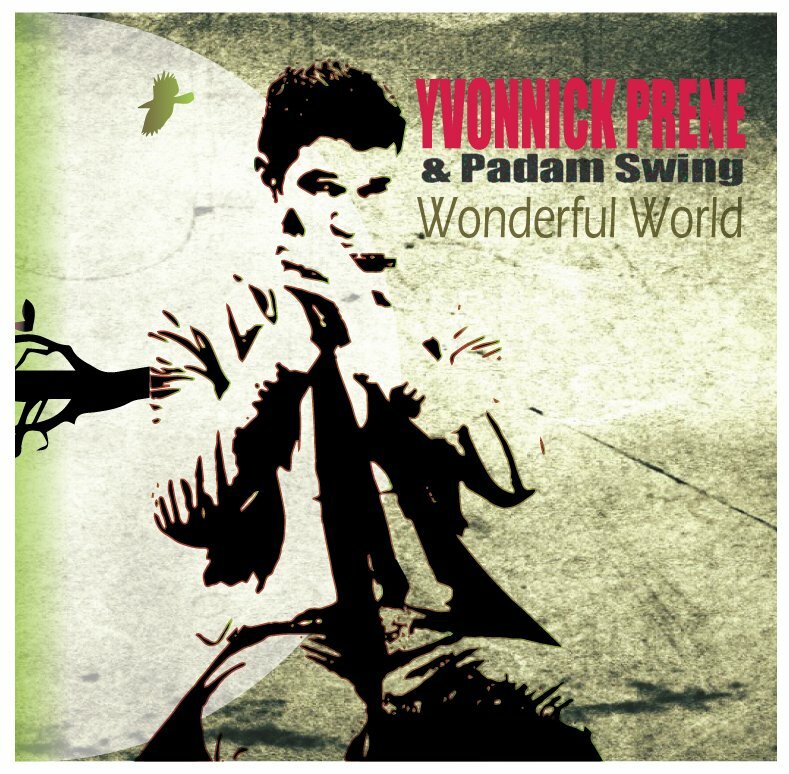 New York, NY – Brooklyn based quartet, Padam Swing are set to release their forthcoming album, Wonderful World, a triumphant effort that sees the group, as fronted by chromatic harmonicist, Yvonnick Prene, blend gorgeously layered textures of traditional gypsy jazz with licks of contemporary and modern groove. Inspired by the musical genius of Django Reinhardt heard echoing through the streets of Paris during the 30’s and 40’s, Padam Swing continue an esteemed tradition with Wonderful World, while breathing a new light on modern jazz through experimentation of rapid tempos and bold key changes. Prene’s career officially began in Paris at 17. Since then, Prene has gone onto garner attention and gain prestigious awards for his outstanding showmanship, both as harmonica performer and composer. In 2007, Prene was named as a finalist in the “Trophées du Sunside” competition in Paris alongside his band, and was invited to participate in the prestigious Betty Carter Jazz Ahead Residency Program in Washington D.C, 2011. His distinction continued to elevate Prene amongst his peers in North America, and was the first harmonica player selected to audition for the distinguished Thelonious Monk Institute in Los Angeles, performing in front of jazz legends Herbie Hancock, Wayne Shorter, Jimmy Heat, Kenny Burrell and James Newton. Following his audition, doors continued to open for Prene, and he was awarded multiple full-tuition scholarships at The City College of New York, (MICEFA 2007), Columbia University (Alliance Program, 2008) and at the New School for Jazz and Contemporary Music (Merit-Based Scholarship, 2009). It was here are the New School that Prene had the opportunity to study with the masterful Lee Konitz, Reggie Washington, John Patittuci, Peter Bernstein, Charles Persip, Kevin Hays, Charles Tolliver, Ben Street, Jerome Sabbagh, and Aaron Goldberg. After gaining his Masters in Music and Research at Sorbonne University in 2011, and a Bachelor of Art from the New School, Yvonne signed to Danish label, Steeple Chase Records, through which he released his stunning debut album, “Jour de Fete,” and saw Prene tour in almost every corner of the globe across Europe, North America and The Caribbean. Wonderful World takes listeners on an ethereal journey, with original gypsy bossa tracks composed by Prene himself including the playful, “The Swimmer,” to Johnny Green’s exuberant “Coquette,” and the glittering “Duke Ellington’s Sound Of Love” composed by Charlie Mingus. It’s truly a modern masterpiece by some of the most talented contemporary musicians in the jazz world.